Cow Games My Little Farmies - Play for free now! Discover a unique twist on cow games in My Little Farmies – a farming simulation that has a lot more to offer than just crops and livestock! 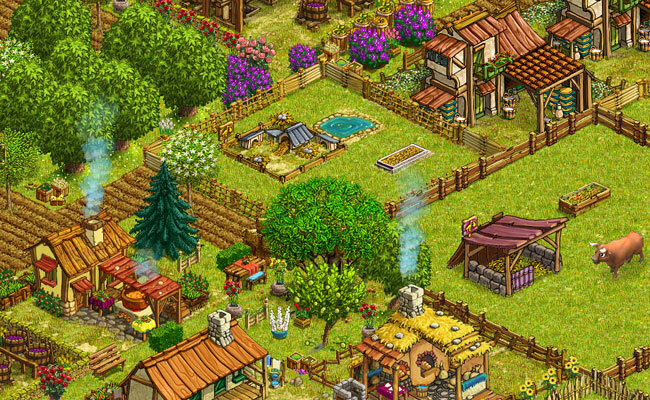 Experience an idyllic farm life as you raise cattle and other livestock, grow a wide variety of crops, and decorate your farm with the trappings of country life. 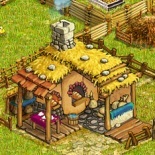 Create cozy nooks and crannies for your farmies to sit back and relax, enjoy the breeze and gaze out over the peaceful cow pastures. Raise and breed cattle on your farm. Build pens, and equip them with everything from feeding and watering troughs to elaborate mangers, resting places and barns. A barn will allow you to breed better cattle with increased production qualities. 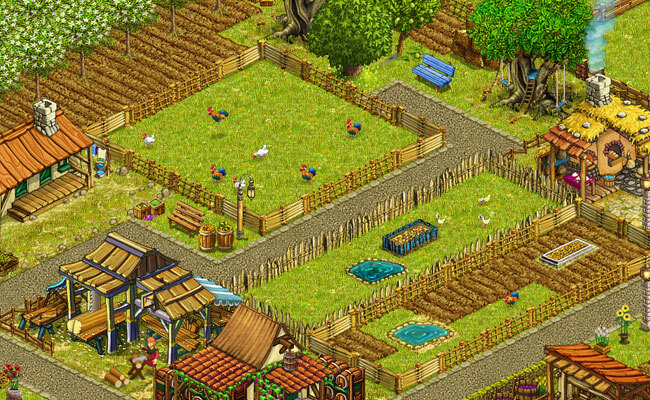 Raise adorable calves and take good care of them, providing them with tender loving care, as you explore the world of cow games. Start out with generic cows in this browser game and collect in-game trading cards or make use of special offers to obtain exotic breeds such as the Highland cow or the Ankole-Watusi! Where there are cows, there is milk. And where there’s milk, there are infinite possibilities to create all sorts of delicacies, ranging from cream and butter to tasty cheeses and crème gateau confections. 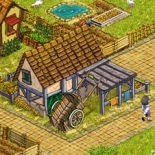 Transcend ordinary cow games as you create culinary masterpieces out of the farm-fresh produce grown on your very own virtual farm, and sell them to eager customers visiting your estate. 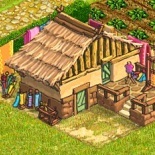 Soon, your humble farm will be a thriving community. 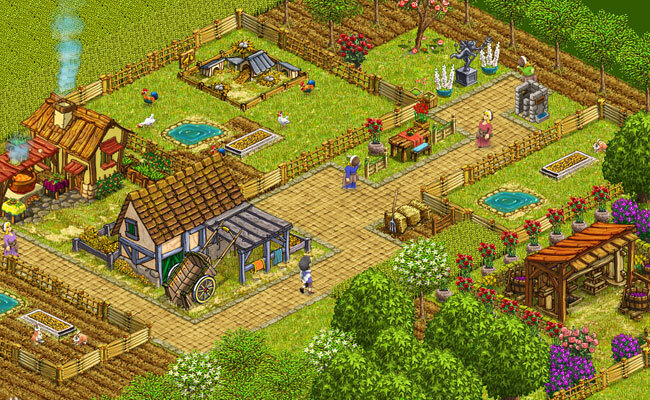 So get moo-ving now and start your very own farm enterprise! 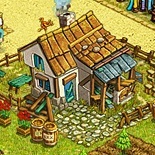 Who doesn’t love the warm and welcoming atmosphere of farm and cow games? But if you ever want to expand your horizons and slip into the role of a zookeeper, business manager, or hotel tycoon, you’ll definitely want to check out upjers.com! Explore countless games of every imaginable genre – all for free and without any downloads right in your browser!